Sealed Packed IS0-9001 MEMBRANE- HYDRAUNATICS - California, U.S.A.
» We offer you different manufacturing stage wise inspection at our factory. We can offer of you inspection while Fitting of sealed pack Membrane. We offer inspection of fully installed and running plant for 3 days at our factory with testing. » We are very close to you we offer best services. Besides our Technical Experts & Design Experts will visit frequently to your site for better performance. » Also visit of our Foreign Associates - if required. 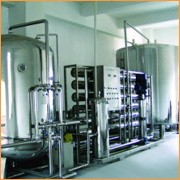 » SITPL, can offer Membrane Cleaning facility at its Factory, for enhancing life of Membrane Systems. » Plant is designed on 10% Higher capacity & T.D.S. i.e. 2795 ppm, for better result in future.